African governments have found a new, potent weapon in their efforts to wring more cash out of the telecoms sector — the regulatory fine. 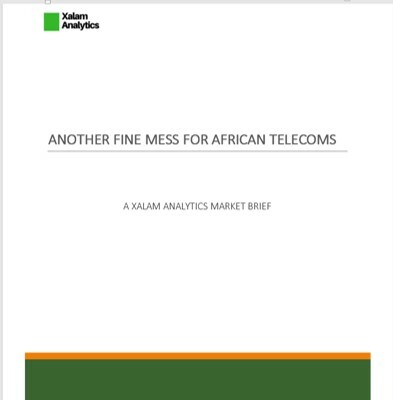 A Xalam Analytics review of around 50 procedures of sanctions against telecoms operators across 20 African markets over the 2011-2017 period shows that the number of fine procedures has skyrocketed across the continent. 2017 was a banner year, with the number of procedures tripling from 2016 levels, to nearly 20, with the number of fine citations nearly hitting the 50 mark. In terms of value — and excluding Nigeria’s imposition of a US$5.2 billion fine on MTN in 2015, an outlier — regulatory fines and tax claims have averaged around $350 million per year during the past two years, more than ten times the annual average prior to 2015.